For about 18 months now I’ve had work trickling in writing short educational articles for various websites. 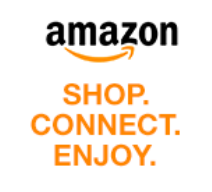 Essentially the site supplies a title, around which I have to write an article. You can find all the titles I’ve done listed on my website, under the broad headings of Science and History. Most of the topics are pretty mainstream, but a few are distinctly Fortean. Earlier this year, for example, I did an article for Synonym Classroom entitled “What Are the Flaws in the Ancient Astronaut Theory?” (As I said, the titles are supplied by the website – I wouldn’t have worded it so negatively). More recently, a number of assignments have come in from eHow, rewriting articles which have been on that site for some time but need to be brought up to date. There’s a lot of competition for this sort of thing, resulting in a feeding frenzy every time a new batch of titles appears. Among the half-dozen I’ve managed to grab so far were three I was particularly pleased with – on Iron Man, the Illuminati and the Holy Grail (you see – it wasn’t just a contrived headline to grab your attention!). I did What Is the Holy Grail? in July, and The History of the Illuminati in August. They’re both archetypally Fortean subjects, although the writing guidelines for eHow are pretty strict so I had to stick to facts rather than speculation in both articles. Perhaps the most surprising title of all was one I did last week: How to Make Energy Like Iron Man. This was listed in the Science category, not Entertainment, and I’ve always wanted to have a go at one of these “science behind science fiction” articles. To make things even more interesting, the science in this case is Cold Fusion – a Fortean topic in its own right, since it’s a classic example of “damned science”. Nevertheless, all the evidence (from the movies, at any rate) suggests that the Arc Reactor in Tony Stark’s chest plate is some kind of Cold Fusion generator. I really enjoyed researching the article, but there was one thing I kept coming across that drives me mad. That’s the widespread belief that the character of Iron Man, and/or Tony Stark, was created for the 2008 movie starring Robert Downey, Jr. As I pointed out in The Marvel Age of Comics last year, that’s simply not true. While RDJ’s interpretation of Tony Stark is definitely appealing, it’s nonsense to say things like “he created the role and no-one else could possibly play it” when the character has been around since 1963. But perhaps I shouldn’t press the point so hard. I recently dug out the T-shirt pictured below, which used to fit me perfectly when it was new (the larger one fits me now). 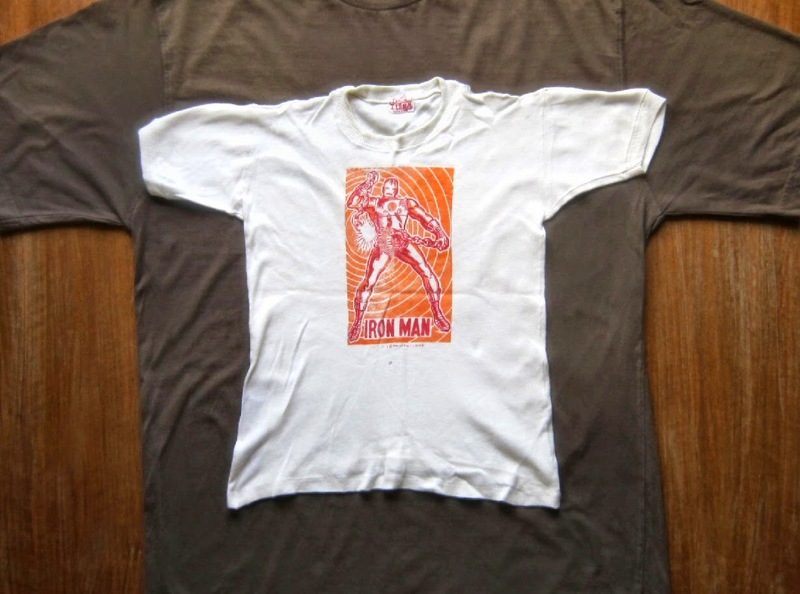 OK, then – if the character of Iron Man was created in 2008, this T-shirt must be newer than that, right? I reckon that makes me about 16 years old (which, by coincidence, is a pretty accurate estimate of my mental age). Actually the T-shirt dates from 1968 (the iron-on transfer was a free gift in Terrific #1, dated 15 April 1967, but I bought it as a back issue the following year). In those days, of course, no-one had heard of Cold Fusion. The highest level of technology mentioned in the early Iron Man stories was “transistors”. I wrote an article on that subject earlier this year, too: What Is a Transistor and What Effect Did Its Invention Have on Computers? When actors say "creating a character" they mean something different from what writers mean; something relevant to what actors actually do. But when mainstream articles use jargon, they ought to make the meaning clear. Especially since the jargon, when used in a mainstream context, tends to render writers invisible, and writers are writing articles - why do we as a profession do this sort of thing to ourselves? Thanks Peni, for making a couple of excellent points I hadn't properly thought through before. With the exception of novels, the writer's role in more or less anything tends to get overlooked - but as you say, it's writers who are ultimately to blame for that! I've always wondered why everyone describes Quentin Tarantino, for example, simply as a "great director"... which he is, of course, but the real reason his films are so toweringly good is because he's a great writer, too. In comics, the concept of "character creation" is an emotive and hotly debated one. Is the "creator" the person who first comes up with the name of the character, or the person who writes the first story, or the person who draws that first story? Some people have spent their lives burning themselves up with bitterness over such questions! I've got that Iron Man transfer, AM - in un-ironed on condition. I'll be taking a look at that piece on the Illuminati as one of my friends is convinced they exist today. Thanks Kid - I think belief in the Illuminati is on the increase. It's the sort of situation conspiracy theorists love - lots of circumstantial evidence, but no hard proof one way or the other. Somehow I'm not surprised to hear your transfer is still in pristine condition. Even at the age of 8 or 9 you seem to have had an intuitive grasp of the collectibles market! Alas, Andrew, you give me too much credit. My transfer is a replacement one I acquired a few years ago. The oldest copy of Terrific #1 (out of three I have) is one I got around 34 years ago. I did have four of the same issue, but I gave one away to a pal a couple of years back. The Bavarian Illuminati sound like an admirable bunch - anti-monarchy, anti-religion and they also believed in things like equality for women etc but what about the modern Illuminati - what are they supposed to believe in ? Are they equally as progressive or do they believe that the world should be run by a super-rich elite for their own ends (we don't need the Illuminati for that - we've got neoliberal capitalism). If the Illuminati are running the world behind the scenes then they are making an arse of it because we are spiralling towards some kind of environmental catastrophe I'm sure. Thanks Colin. As I said, my eHow article had to stick to verifiable facts and avoid speculation. If I were to speculate, I would say there is no single, highly powerful group in the world today that self-identifies as the Illuminati. There are undoubtedly groups that call themselves "Illuminati", but I suspect they are fantasists with no real power. Of course, there are always powerful groups behind the scenes "pulling the strings" of elected politicians at any given point in history. But I don't agree with the conspiracy theorists that this is a single organized group that has existed, and held the same motives and beliefs, for a long time. There were string-pullers in the 1940s, string pullers in the 1970s and string-pullers today, but they're not the same string-pullers... and may have very different aims. I think the reason these groups are always referred to as the "Illuminati" is an irony of history. The very first conspiracy theorists were devout Protestants and Monarchists who hated and feared everything the French Revolution stood for, and they fingered the Illuminati for this. So the name "Illuminati" came to mean "people who want to change the world order", even though the (US-centric) world order now is a lot closer to the ideals of the Bavarian Illuminati than it is to pre-Revolutionary Europe. Speaking of MARVEL, what about Dr. Strange? There's some interesting occult retro-Forteana for you. Very much a part of the occult and consciousness "explosions" of the 1960s. Excellent suggestion, Ross! I will add it to my list of things to do! I can still picture my mother ironing on the Ironman transfer. White t-shirts were not really part of a 7 year old child's wardrobe in the UK in 1967. So my transfer was put onto a white ribbed type of t-shirt that was bought a couple years previous for a 5th birthday photo session. This unfortunately made me look more like Dr Bruce Banner seconds before he morphed into the Hulk! Happily about 15 years ago I found the same Terrific transfer tucked into a Jimmy Olsen comic I purchased at a fair. Happy days! Thanks Ken - it's great to know there are others with similar memories to myself. I think my mother bought this T-shirt specially for the transfer, though I can't be sure. I also have a vague memory that I did at least some of the ironing myself, under her supervision. There is a bit of a mess-up in one place (not really visible in the photo) which I'm fairly sure was caused by over-enthusiasm on the part of my 10-year old self!